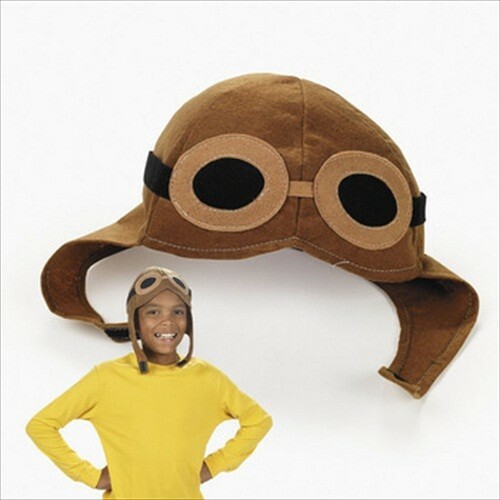 This Felt Aviator Hat is perfect for a pilot or Amelia Earhart costume. The hat includes sewn-on goggles and a soft touch fastener. 22" circumference. Recommended for children to small teens or adults.